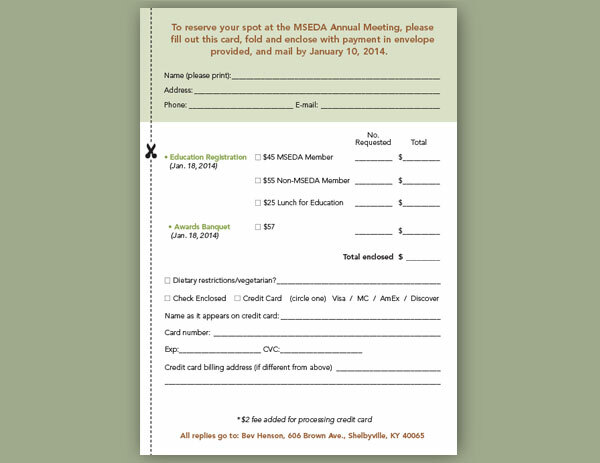 The purpose of the MidSouth Eventing & Dressage Association (MSEDA) is to further the art of classical dressage and the sport of eventing in the Mid-South area. 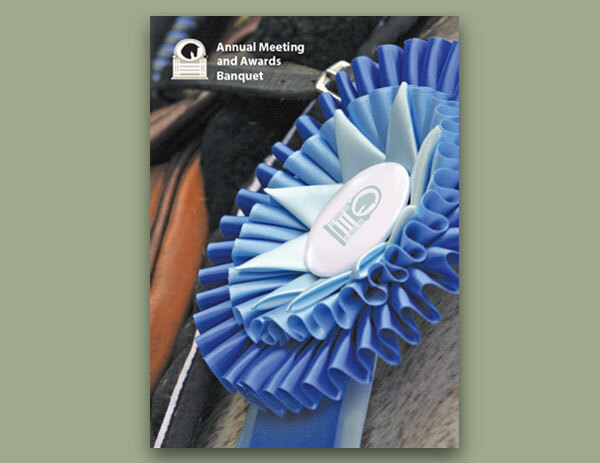 They provide educational opportunities, fair and safe competitions, promote the welfare of the horse and rider and reward the pursuit of excellence from the grass roots to the FEI level. 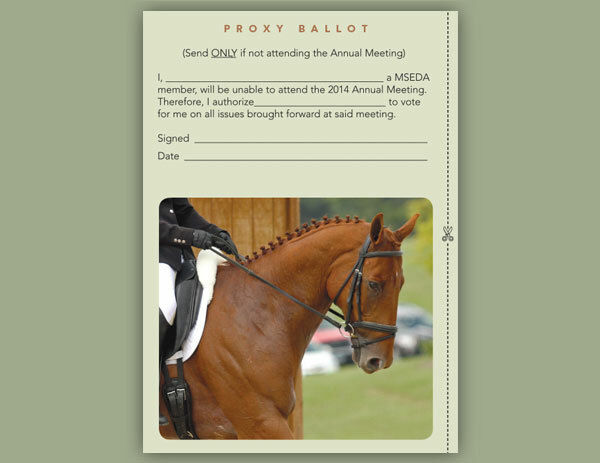 Every year MSEDA hosts an annual meeting for which they ask the Arion Group to design a tri-fold invitation design. 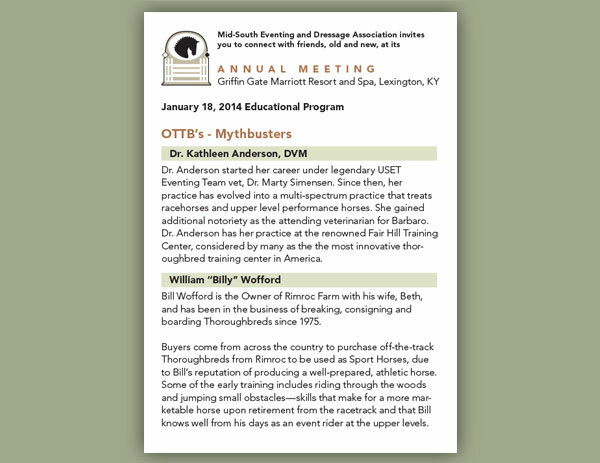 Information on guest speakers and the award banquet are featured inside. 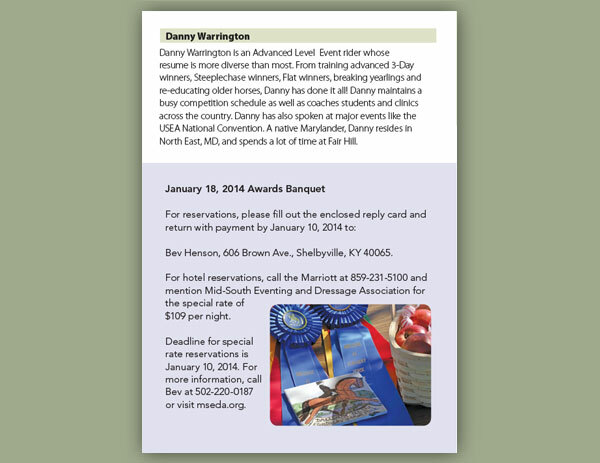 The schedule of events is listed on the back cover, and a detachable registration card and proxy ballot is set up on the overlap. To see all the pages of this piece, please view the slide show below. 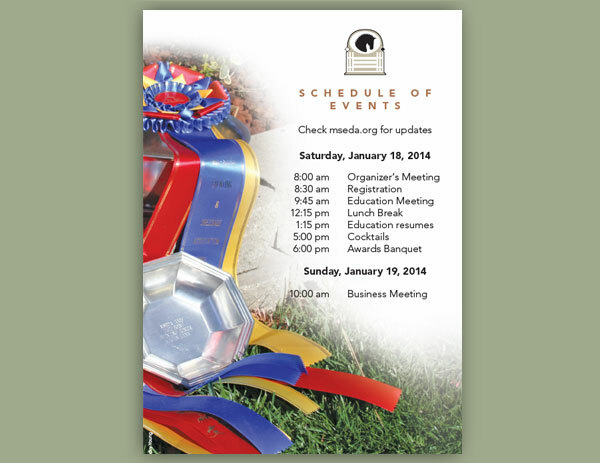 For help creating your next invitation, contact us today. What the heck is a vector file? How long will it take to publish your book?